The University of Minnesota Extension program is sponsoring a Research Update Field Day. Agricultural professionals, growers, and the general public are invited to the Rosemount Research and Outreach Center for a tour of the latest in agricultural research. 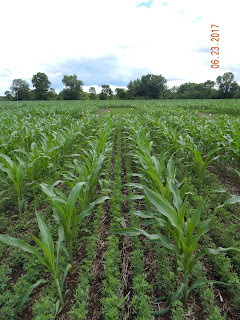 Extension specialists will lead a guided tour of the Research Center’s test plots, presenting their research on interseeding cover crops and alfalfa into corn production systems. The Field Day will be held on Friday, September 14 from 1:15 pm to 4:30 pm at the Rosemount Research and Outreach Center located at 16085 Alverno Ave, Rosemount, MN 55068. Dr. Marisol Berti, North Dakota State University Forage Specialist, will update the audience on her program involving intercropping alfalfa and corn for improved alfalfa yield and performance. Dr. Berti, leads a four-state NIFA supported effort to improve alfalfa productivity. Ms. Julija Cubins, Graduate Research Assistant will give an update on oilseed management and physiology. Ms. Sarah Moore, Graduate Research Assistant will give an update on double cropping oilseeds and high-value cash crops. Dr. M. Scott Wells, University of Minnesota Extension Agronomics, will provide an overview of the NRCS Project titled, Demonstration and regional adaptation of interseeded cover crop planting and management technologies in annual corn cropping systems in the Upper Midwest. 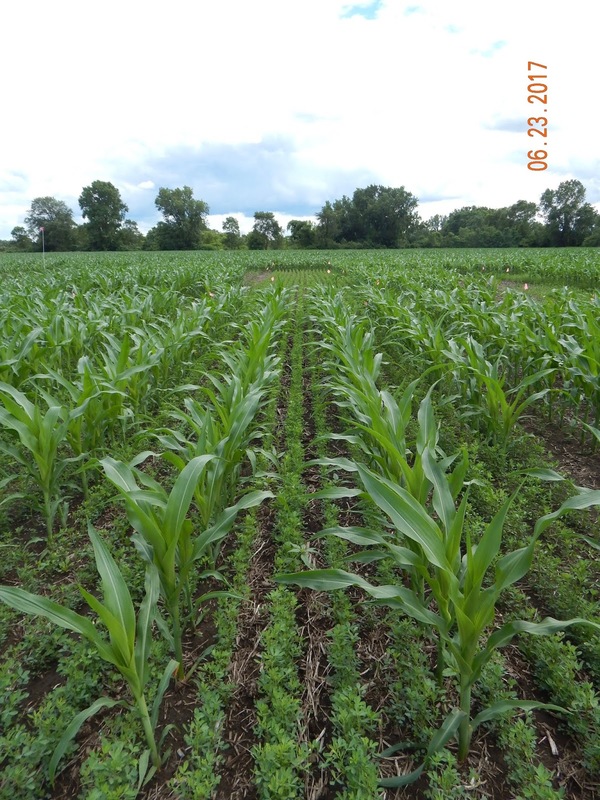 This presentation will focus yield components and findings from early season interseeding cover crops into corn. Dr. Kent Cavender-Bares, founder and CEO of the Minnesota based company ROWBOT Systems LLC. Dr. Cavender-Bares, will discuss his companies vision including a interseeding demonstration. Registration begins with refreshments at 12:30 pm, and bus leaves promptly at 1:15 pm. The registration is free, includes snacks, refreshments and program materials. However, pre-registration is required to reserve your spot on the bus. Registration at z.umn.edu/interseeding or contact Larisa Jenrich at 651-480-7732 or jenri001@umn.edu.